With minimally invasive optionsBetter urological health starts here. Our association with the Gold Coast Urology group ensures you receive the highest quality care and expertise. 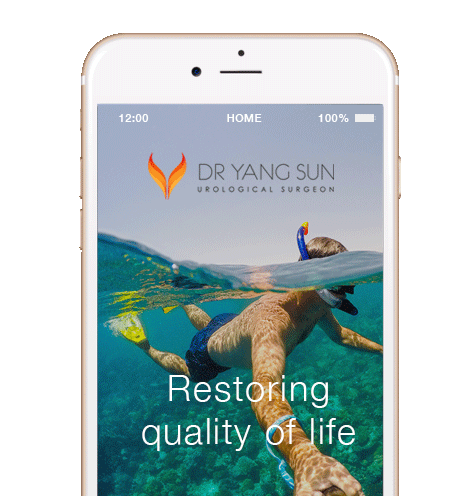 The combined experience of one of Australia’s most cohesive and long-established urologist groups means we have a wealth of skills and sub-speciality experience. You will gain access to a team of leading urologists who follow standards of best practice and medical ethics. Contact us today to see how we can assist you to improved quality of life. If you are experiencing a medical emergency dial 000. For hospital emergency department information contact Pindara Private hospital or Gold Coast Private hospital (formerly Allamanda Private hospital). Our practice is conveniently located at Suite 8, 16 Tweed Street Southport. You can access our practice via public transport and our practice is convenient to the intersection Queen Street and Nerang Street, a major public transport thoroughfare. There is also free undercover parking available. When visiting us for the first time please bring your Medicare and private health care cards, General Practitioner referral form, relevant results including pathology or radiology tests that will assist us during your consultation. Free undercover parking is available from the Tweed street entrance to the building. There is disabled access to our consulting room via a ramp at the front of the building. Street parking is also available, a two hour limit applies. If you have specific access issues please contact us for assistance or advice.